The Large Horseshoe Arch wallpaper enlarges the classic scalloped pattern to make a bold statement. 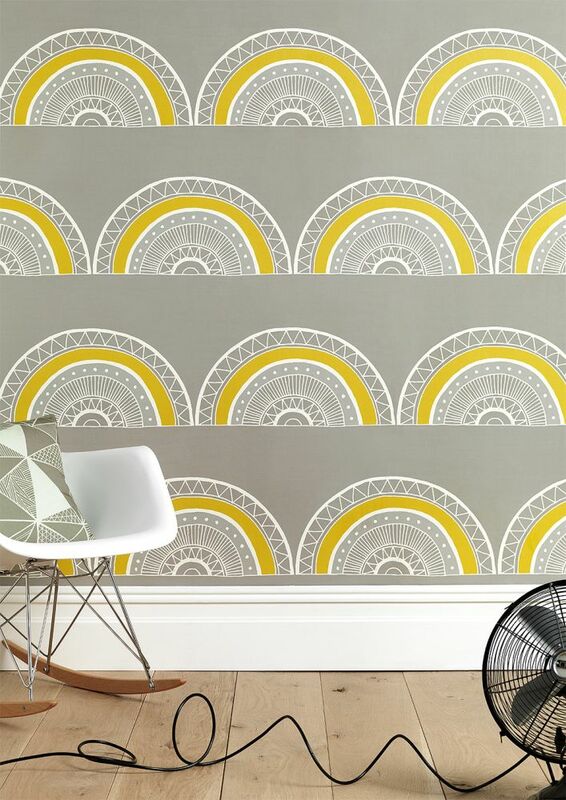 An Eastern inspired pattern created with Scandinavian style and simplicity in classic grey and yellow. BATCH NUMBERS MUST MATCH FOR HANGING PURPOSES. Featured as one of the Sunday Times Top 30 Fabric & Wallpaper designers, Sian Elin is a creative print designer selling pattern-led homewares.